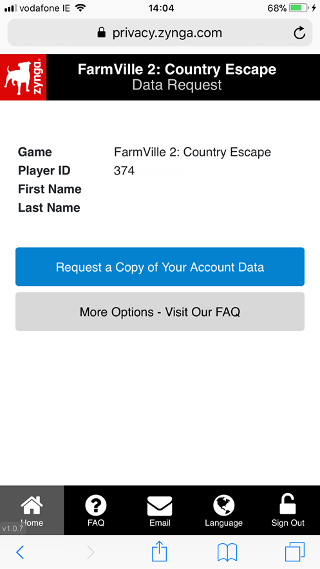 How do I find my Player ID and PIN for FarmVille 2 Country Escape? 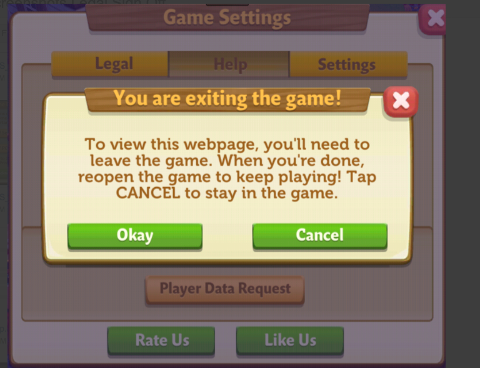 In the Game Settings menu, tap on the Help tab, and your Player ID will be displayed. 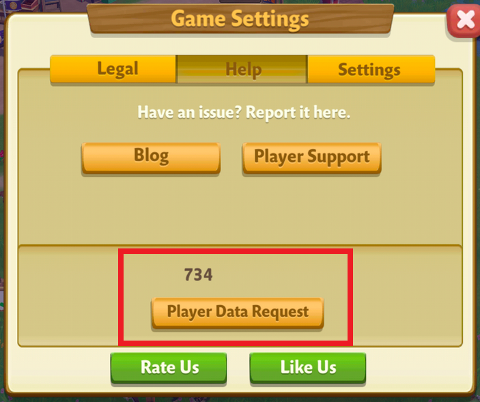 Tap on the Player Data Request button and then tap on the Okay button to be forwarded to the Personal Data Request Portal. Your PIN will not be displayed on screen, but when you tap Okay you will be automatically redirected to the Personal Data Request Portal, where the information will be automatically entered for you, and you can then proceed with your Personal Data Request.